Wider version of the W3. Carbon kevlar version without backframe. Excellent for historic or classic cars. 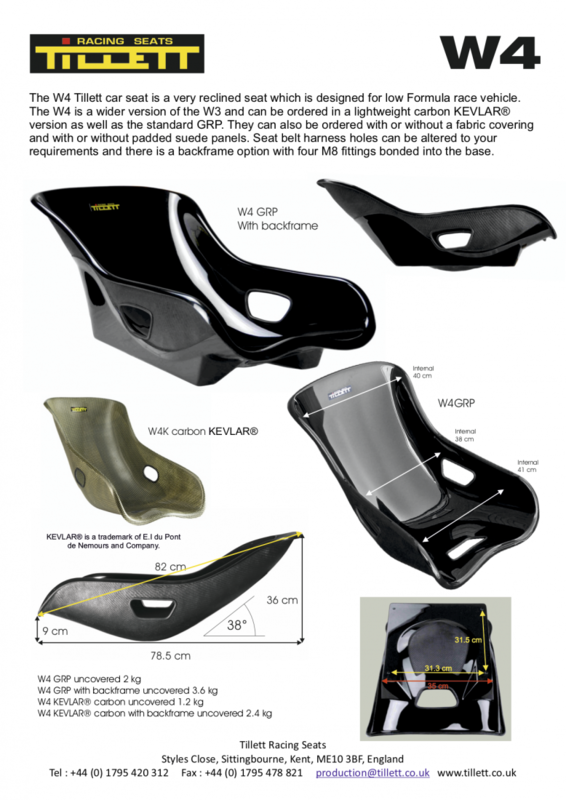 Formula race car seating angle. The W4 is a 25 mm wider handmade version of the W3, which is a reclined seat with a formula race car driving position. This is the carbon kevlar version without a backframe. Seat belt harness holes are included. A five or six point harness is advised with any reclined seat. An alternative and popular covering option is a Dinamica® suede two-piece seat pad set which is a special-order item.